Come for the views, stay for the booze. For generations now, the Lake District has been (and still is) renowned for being the most beautiful region of the UK. 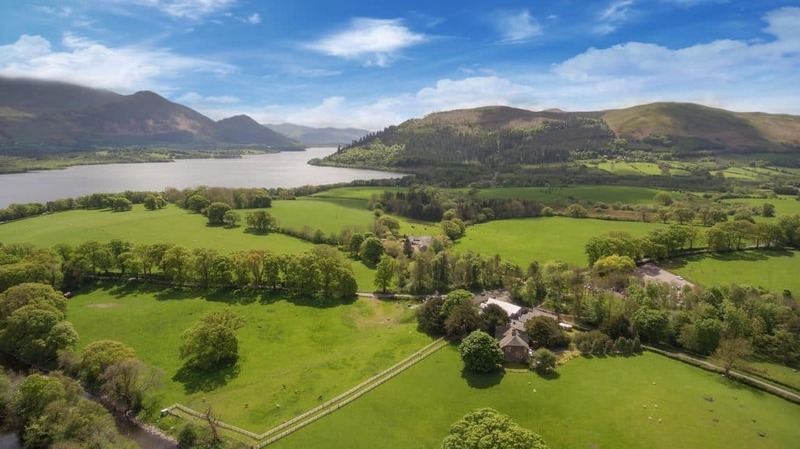 With an increasing number of Brits and tourists from abroad visiting the National Park year on year, the Lake District has became a popular UK hotspot, rivalling the likes of London, Edinburgh and the Cotswolds. This comes as no surprise as the Lake District is full of glistening lakes, rugged mountains and breathtaking scenery – offering visitors the perfect nature escape for tranquility and rejuvenation. Plus, as the tourist trade in Cumbria has become more prosperous, the region has seen multiple developments across a range of industries, giving visitors even more to do and see than ever before. The Lake District is best for booze! What many visitors may not know is that the Lake District also boasts a range of impressive independent breweries and distilleries, from big-name franchises that you may have heard of, to lesser-known Cumbrian ales that have built up quite a reputation in the local area! Luckily, some of the best breweries/distilleries in the Lake District are located within driving distance of the Trout Hotel (one even within walking distance!) allowing you to perfectly plan your boozy tour of the Lakes with us! 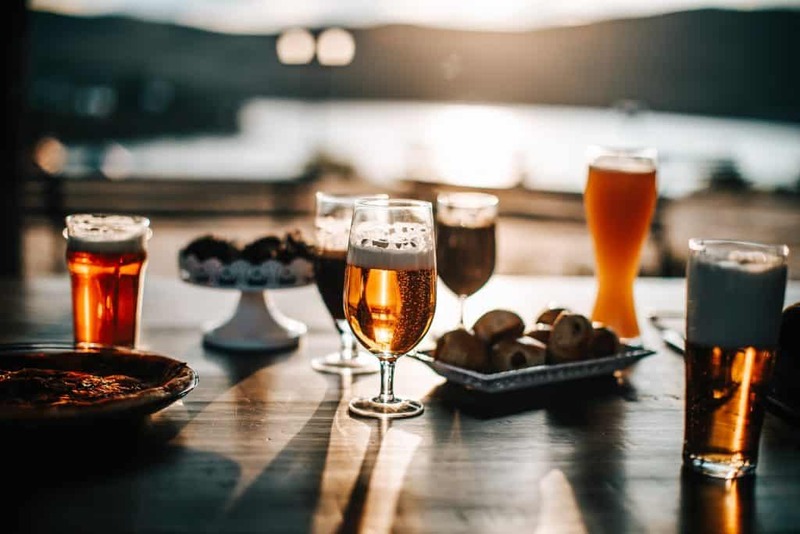 To help you plan your visit, we’ve listed 5 of the best local breweries/distilleries in the Lake District that we think are worth a visit if you fancy a taste for authentic Cumbrian ales/liquor. They all host tours where you can learn a lot more about the brewing/distilling process, their history and even get to try a few samples while you’re there! Situated amidst grand oak trees and spectacular Cumbrian countryside lies England’s premier distillery – only six miles away from the The Trout Hotel. With a reputation that precedes itself, it is possible that you’ll have heard of their award winning ‘The ONE’ whisky, which was the first ever British Isles blended whisky, now available across the world. Despite whisky being their main speciality and the one product that really made the Lakes Distillery take off and become the establishment it is today, the Distillery also produces the Lakes Gin and Vodka – both of which are the ONLY spirits of their kind that are distilled in the Lake District. As well as guided distillery tours, there’s also a chance to enjoy delicious homemade food in the luxurious Bistro or embark on an Alpaca Tour on the striking grounds where you can walk, touch and even feed the peculiar furry animals. 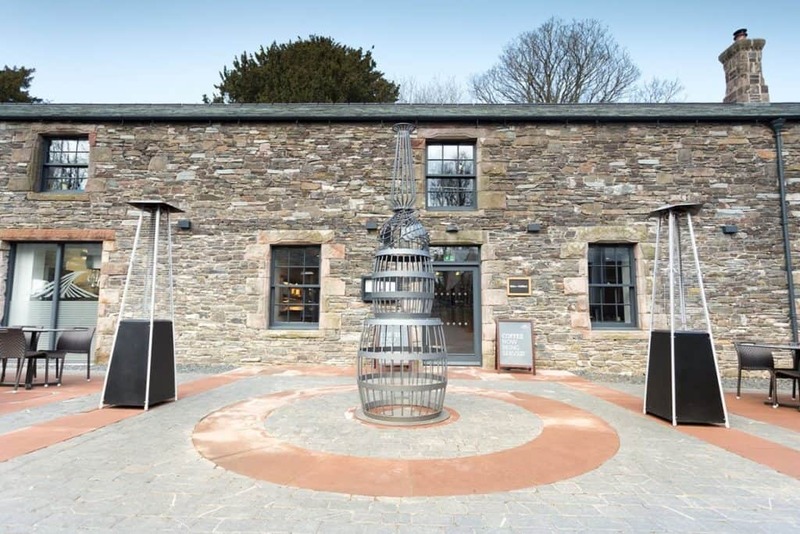 Not nly is Lakes Distillery creating waves in Cumbria, but it has also been named as one of World Whisky Day’s ‘Eight Distilleries to Visit Before You Die’ two years running, making it the perfect attraction to visit during your Lake District getaway. Based in the heart of Cockermouth is our very own Jennings Brewery! – a name that is completely notorious throughout Cumbria and our neighbouring counties. 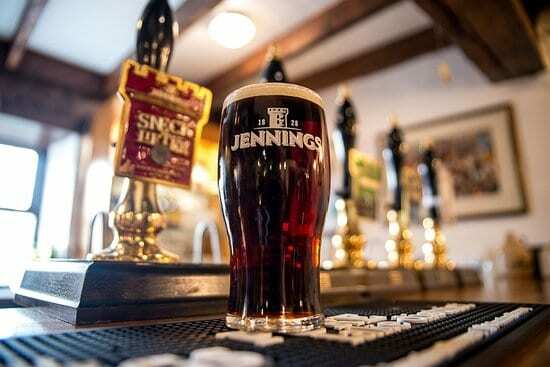 Well-established for their hoppy Lakeland ales and dark bitters, Jennings has been building its prominence since the 19th century. Discover the brewery’s rich heritage, originating as a family business in the nearby village of Lorton, and learn how it expanded to become one of the most renowned Cumbrian institutions following its move to Cockermouth. Brewery tours occur on a regular basis, but don’t always run every day depending on the time of year you visit, so we would recommend checking on their site beforehand by clicking here. Sample their impressive selection of distinctive Cumbrian ales in the Brewery Bar following your guided tour and you may just get a taste for something new. Choose from acclaimed classic blends such as Cumberland Ale, Cocker Hoop, Sneck Lifter, etc. and enjoy them in this unique, riverside location. Best of all, you can stay for as long as you like then stumble back to the Trout Hotel afterwards! 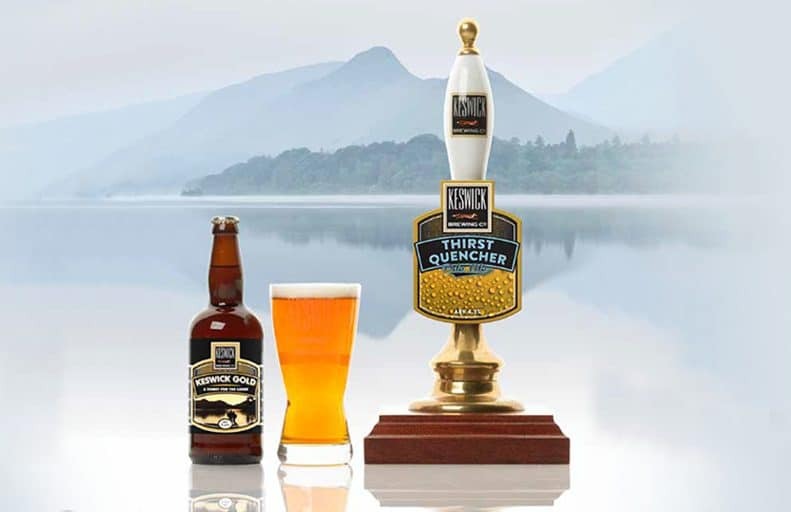 Situated in the the humble, tourist town of Keswick, based only 12 miles from the Trout Hotel, lives the up-and-coming Keswick Brewing Company. This small craft brewery is hot-of-the-press and pride themselves in their selection of hearty beers that really pack a punch. The brewery takes delight in the astounding quality of their beers, with each of them having their own unique recipe. At the Keswick Brewing Company, environmental issues remain at the forefront of their work culture as they continue to produce top-quality ales with as little environmental damage as possible. Their first beer was ‘Thirst Run’, a Golden Pale Ale, which has gone on to become one of their best-sellers. At this current time, the Keswick Brewing Company is also having a brand new bar being built which is an exciting, new development for the summer months. However, not to worry! There is a temporary bar and store for you to still enjoy a beverage following your tour or shop for merch! You can find some of their beers in the local pubs throughout Keswick if you wish to sample a pint before booking a brewery tour. Learn more about the brewery here. This innovative craft brewery is the farthest away from us, however it is absolutely worth the journey down! The reputation of Hawkshead Brewery continues to grow in perfect synchronisation with their customer base and impressive selection of beers. Not to mention we like their ‘hipster’ designs for their beers! Hawkshead Brewery treat their customers to eclectic beers, taking unique inspiration from a variety of sources. Not only that, but the brewery aren’t afraid to take risks by concocting bold, experimental brews that may or may not work such as their current marshmallow and chocolate flavoured Imperial Stouts. It’s definitely worth a visit for the more adventurous daredevils out there who are keen to take their taste-buds on an exclusive adventure! 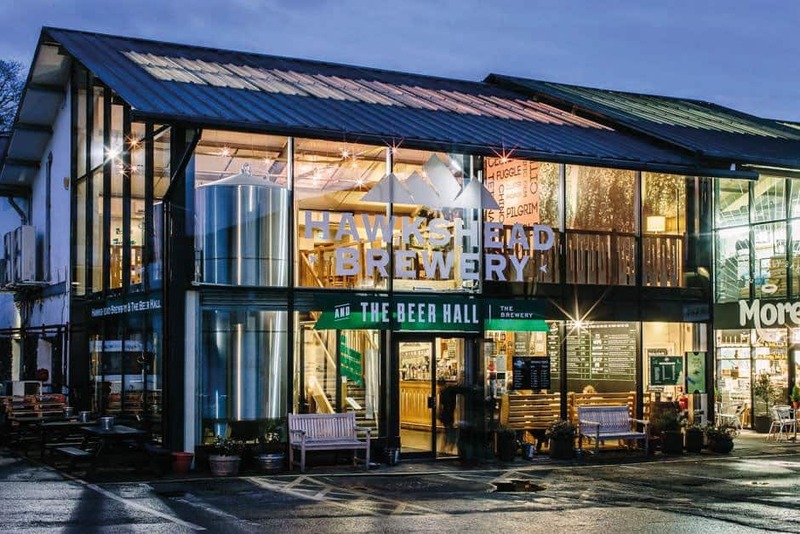 For anyone looking to discover what a true artisan craft brewery is, look no further and get booked onto a Hawkshead Brewery tour today here. Also, be on the lookout for their various beer festivals held throughout the year. If you’re looking to visit a brewery that makes crafting ales look like an artform, look no further! 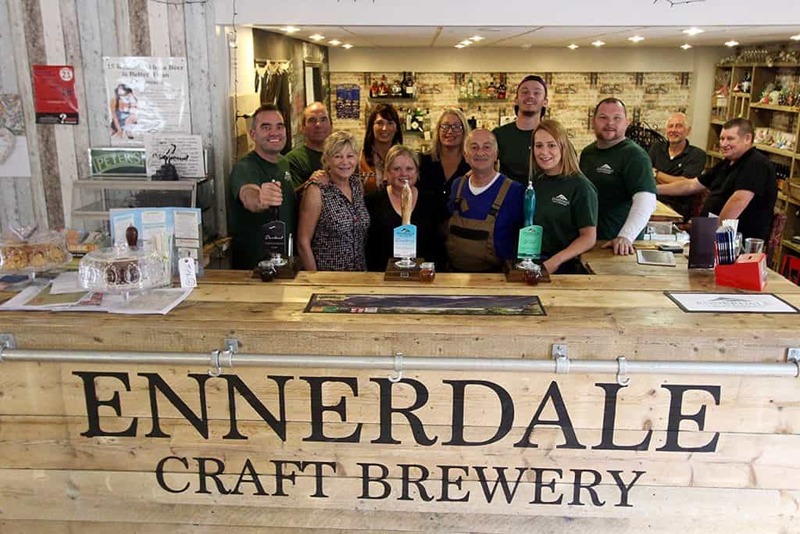 Ennerdale Craft Brewery not only offers flavoursome artisan ales that are inspired by the Lakes, but they have an incredible on-site ‘Brewery Tap’ bar which serves as a quaint cafe by day and a cosy bistro by night. All food is homemade on site, made from fresh ingredients that has been sourced from local suppliers. Choose from delectable home-cooked meals or make it a sweeter affair and indulge on their tasty afternoon tea. In addition to this, the brewery hosts open mic nights on the last Sunday of every month to entertain guests and let them get involved in the fun. Plus, if you’re visiting in September be sure that you don’t miss out on the ‘Barrel Fun Run’, where participants must run in teams of two (and in fancy dress) 3 miles from the brewery to The Fox and Hounds Public House in Ennerdale, all while carrying an empty 9 gallon barrel! All money raised goes to charity. The Trout Hotel is conveniently located within driving distance of all of these incredible breweries/distilleries, so you can easily get back to the comfort of your Trout Hotel room following a few cheeky tipples down the road. If any of these tours appeal to you, our friendly team would be more than happy to provide you with additional information or advice. Get in touch today.